The global economy offers unique opportunities for companies doing business internationally. With opportunities come challenges and managing a global workforce requires reliable information on the cost of doing business and not every source of business information is created equal. 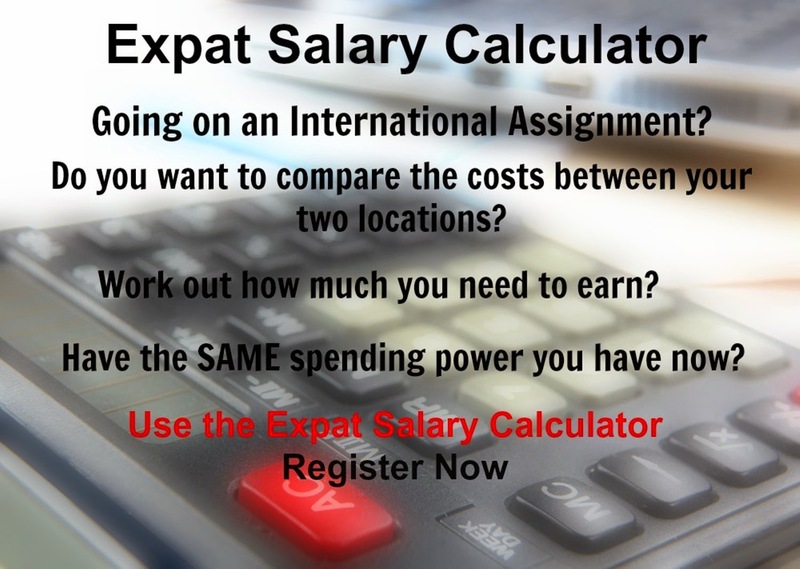 Xpatulator has created a Cost of Living Index (COLI) calculator that is tailored to the needs of global companies and managers responsible for overseas workers. Xpatulator uses up-to-date data collected and verified by our own expert analysts to provide the most accurate cost of living information available. Our proprietary database is updated quarterly with the latest price information for over 700 locations around the World. We collect prices on approximately 200 common goods and services. Some living expenses will impact your employees to a greater degree than others, so our cost of living data is grouped into 13 related baskets of goods and services, such as household, transportation and education. Each basket is weighted based on extensive surveys of expat worker’s spending habits to reflect the actual cost of living differences that your overseas workers will experience. 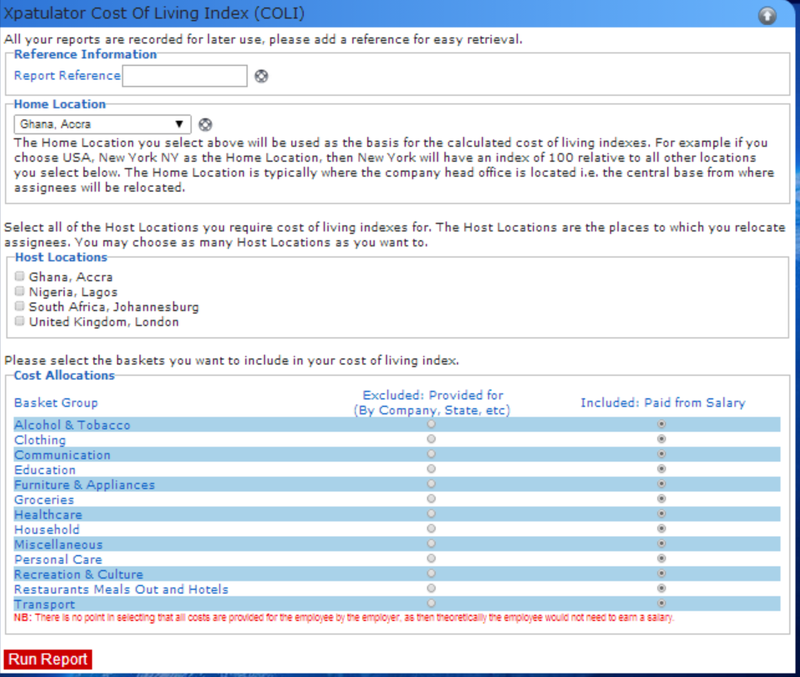 The COLI calculator uses your home office or whichever location you choose as your benchmark and sets the cost of living for that location as 100. You can then easily compare the cost of living at all your overseas offices with your home office. If you are providing direct benefits like housing, private education or transportation at some or all of your overseas locations you can easily remove those baskets of benefits to see the impact they have on a specific cost of living index. You can calculate a reliable COLI on a location by location basis or even on an employee by employee basis. When a certain basket is removed from the COLI calculation, that item’s weighting is removed and the COLI is calculated for the expenses that your employees will be paying directly from salary. This gives you the advantage of being able to assess the relative impact of paying for certain benefits directly. Choosing to offer benefits where they have the greatest impact in reducing your employee’s cost of living can give you an advantage in attracting and retaining top talent. Having a tool like the Xpatulator COLI calculator also lets you highlight the value of benefits to your employees compared to direct salary adjustments or cost of living allowances. In some cases there may be benefits to your bottom line by paying certain costs directly. Medical, housing and transportation are common benefits that some companies elect to pay themselves rather than have employees paying for with after tax dollars. You can also equalize compensation for different employees that may not need or want some of the benefits that you have available. Quality private education is a benefit that families with school age children will place a high value on while individuals and couples will not. By talking with your employees about how specific benefits will affect their cost of living you can provide the most valuable compensation package while keeping an eye on your bottom line.